Dramatic landscapes and the colorful culture of the people make Morocco a dream destination for photographers of all levels. Morocco Immersion Tours & Adventures is teaming up with two award winning photographers (Frances Schwabenland and Bob Laramie) who will offer photographic coaching during the day and run a nightly photo review and clinic. This tour will offer unique opportunities to photograph locals in addition to our authentic experiences. 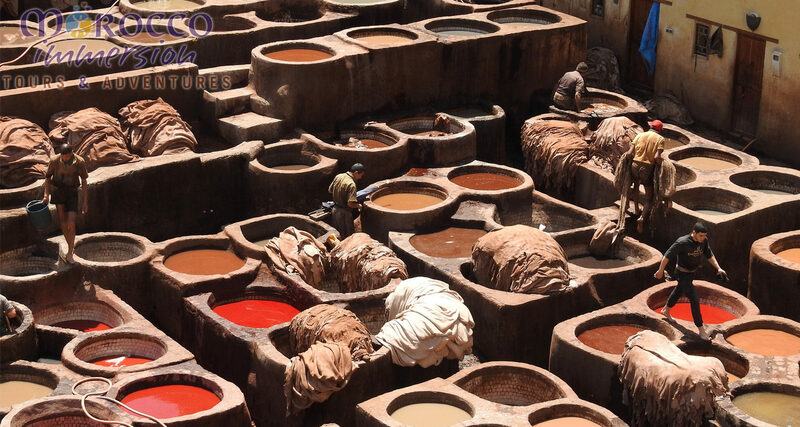 We’ll cover a lot of ground, but you’ll have plenty of time to thoroughly photograph your immersion into the colors and the culture of Morocco! You can arrive in Marrakech anytime today. 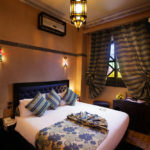 You’ll be transferred to your riad from the airport where you can relax and recover from your travels or venture out to explore the medina with its maze-like souks on your own or gather inspiration by visiting the Photography Museum. 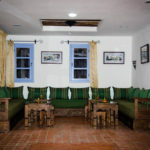 In the evening, the group will converge for a special welcome dinner at the home of a local chef. This will be the perfect opportunity to meet and mingle with the other participants AND sample some of the local specialties. This morning after breakfast, your local city guide will meet you at your riad and then take you on a guided tour of the city. 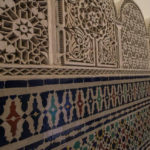 There will be lots of excellent photo opportunities as your visit will include Ben Yousef Madrassa, the Saadian Tombs, Bahia Palace, and Koutoubia Mosque. 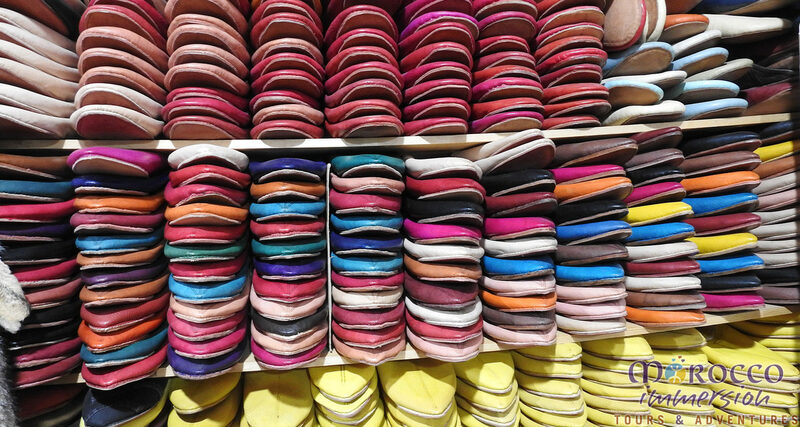 It will also take you through the artisan areas of the souks to see the traditional methods that these artisans still use today. After lunch, you’ll venture outside of the medina to Marjorelle Gardens after which you’ll return to the medina and back to your riad. 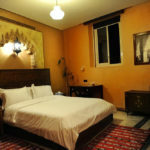 After a little R&R, you can head to the main square, Jemaa El F’na, located less than a minute’s walk from your riad. 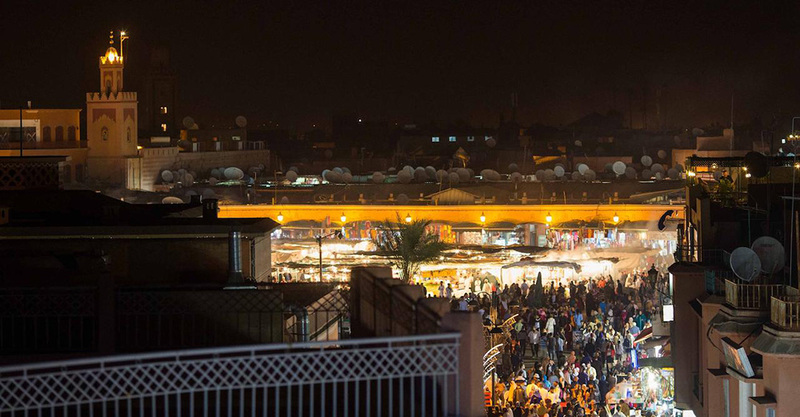 Find a spot at one of the terrace cafes for a birds eye view to watch the sun set over Marrakech and the square come to life. When you are ready, come back down to earth and wade into the excitement of the square. 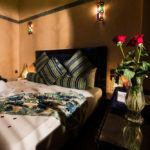 When you’ve had your fill, you can head back to your riad for the night. 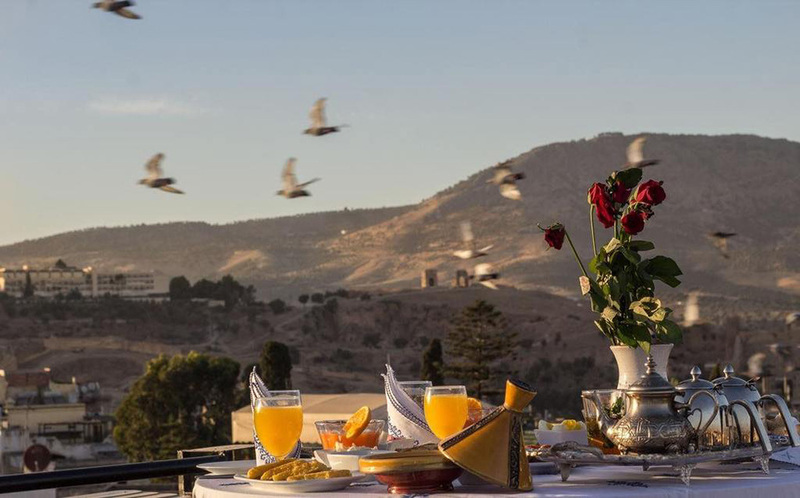 This morning, after breakfast, you will depart from Marrakech and head over the High Atlas Mountains via the Tizi n’Tichka pass reaching altitudes of 7400 feet above sea level. This is a bit of a long day of driving, but there will be plenty of stops to photograph the breathtaking views along the way. After reaching Col du Tichka (the highest point), you’ll descend to the UNESCO World Heritage site of Ait Ben Haddou. If this ksar looks familiar, it might be because it has starred (or at least made an appearance) in several movies and tv shows including Gladiator, Lawrence of Arabia, and Game of Thrones. You’ll have an opportunity to explore this area climbing to the very top for an amazing view of the ksar and the surrounding area. After visiting here, you’ll head through Ouarzazate, a city known as both the doorway to the desert and the Hollywood of Morocco. From here you’ll travel along the Road of a 1000 Kasbahs through the Rose Valley and into breathtaking Dades Gorge to your accommodations for the night. You’ll have a chance to relax a bit before dinner. This morning, you can get up early for photos in the early morning light of the unique rock formation known as the Monkey Fingers located near your auberge before returning for breakfast. After breakfast, you’ll follow the Dades River back to the heart of the Rose Valley, Kelaat M’Gouna, where you’ll visit the local Day Market – a souk that happens one day a week. This will be a great opportunity to experience and capture the everyday life of the locals. After the market, you’ll head to the home of a local family for lunch. The late afternoon light in this region is spectacular, so you’ll explore this area a bit and have plenty of opportunities for more photos before returning to your Auberge for another delicious dinner. After breakfast, you’ll make your way to the giant sand dunes of the Sahara, but first you’ll visit Todgha Gorge where you will have a chance to walk through the most impressive part of this canyon. After this, you’ll have a guided walk in the palmeraie and Mellah (old Jewish neighborhood) of Tinghir. After this, you’ll drive to the edge of the big dunes where you will meet your camels that will take you into the heart of the dunes to your desert camp for the night. And don’t worry… there is no roughing it here. The luxury desert camp tents include furniture and en suite facilities. Upon your arrival at camp, you can climb the nearest dune to watch the sun set and the stars come out. Dinner will be served at camp followed by more star gazing. Bring your tripods for nighttime photos of the gazillion stars! This morning, you’ll want to get up early to capture the sun rising over the dunes. After this, you’ll have breakfast at camp and prepare for your day before once again taking your camels to the edge of the dunes where your driver will be waiting. From here, you will make your way along the Ziz River Gorge and over the High Atlas Mountains once again (although a different section this time). You’ll stop in Midelt, a market town located in the high plains between the High and the Middle Atlas Mountains. After checking in and having welcome tea, you can stretch your legs in the neighboring ecological park or enjoy the pool. Dinner will be served at the hotel. Bonus: This hotel has a full bar, so you can enjoy a glass of wine as you review the magnificent photos from the desert! 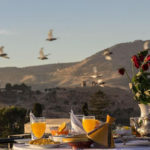 This morning after breakfast, you’ll pass through the Middle Atlas Mountains to Fes, stopping along the way in the largest cedar forest in Africa, near Azrou, to visit the local inhabitants: Atlas Monkeys (otherwise known as Barbary Apes). These little guys are very photogenic, but they do demand payment in the form of peanuts! After this, you’ll pass through the scenic city of Ifrane. Known as “Little Switzerland”, you may think that you’ve been transported to the Alps when you enter this garden city. You’ll want to be sure to grab a picture of the Atlas Lion, a statue that commemorates the now extinct species. 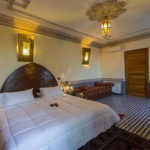 After this rest stop, you’ll finish the drive to Fes, where you’ll check into your riad and have some free time to relax from the day’s journey before dinner and your nightly photo review. Today after breakfast, your local city guide will meet you at your riad and you will head out for a guided tour of the city. First, you will go by car to the Royal Palace and from here you will head to the borj (tower) for a panoramic view of the city. Next, you’ll head to a local mosaic house and have a demonstration of traditional pottery methods. From here, you’ll enter into the city through the famous Blue Gate and visit all of the important monuments in the city, including the oldest continually operating university in the world. 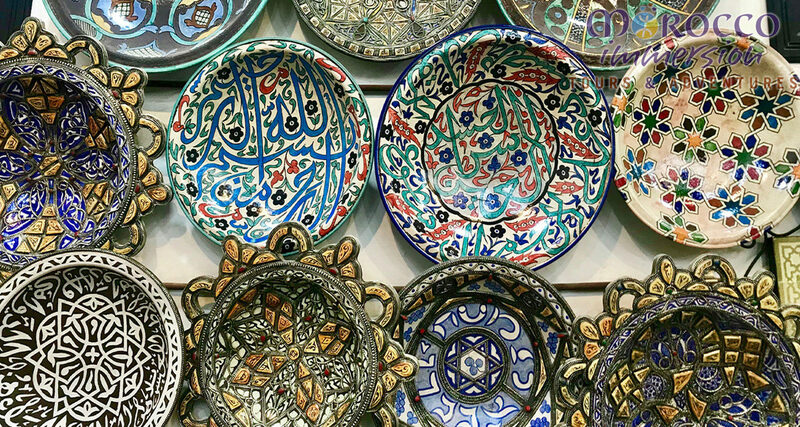 You’ll also tour the artisan areas of the medina. The tour will be over by mid-afternoon, after which you’ll be free to explore the city more on your own. 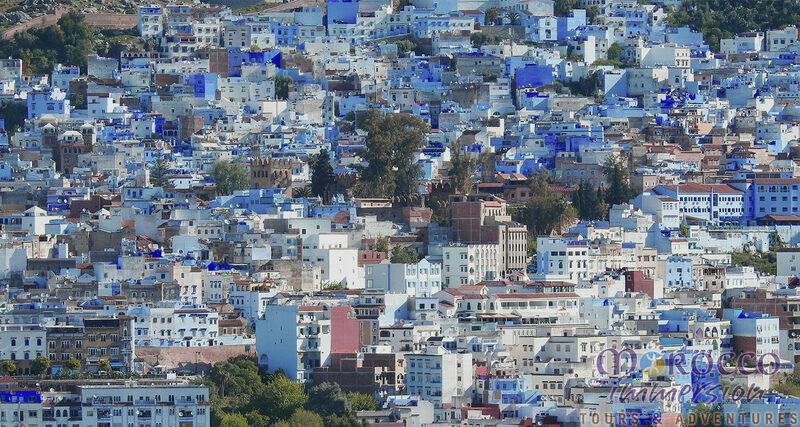 After breakfast, you’ll depart Fes and head to the Blue Pearl of Morocco, Chefchaouen. 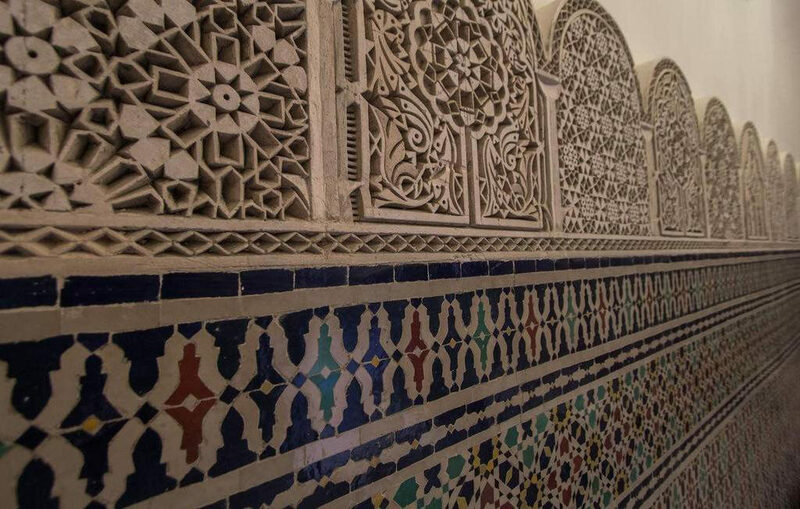 On the way, you’ll first stop to visit one of the lessor known imperial cities of Meknes. As a contemporary of Louis XIV, Sultan Moulay Ismail built his capital city to rival Versailles and included Agdal Reservoir, a royal granary and stables that once held 12,000 horses, and a dismal underground prison. You’ll have a chance to photograph it all before heading to the sacred city of Moulay Idriss Zerhoun for lunch. 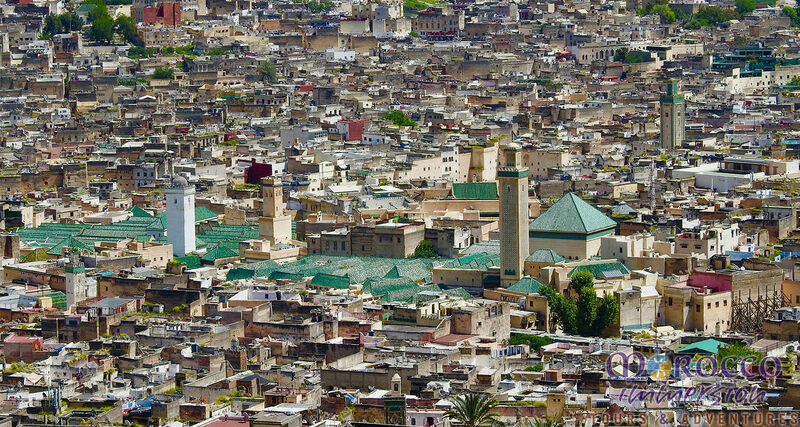 Once forbidden to non-Muslims, this hillside city was the seat of the first dynasty of Morocco and the tomb of Idriss I is a pilgrimage site for those who cannot afford to go to Mecca. After lunch, you’ll drive to the nearby Roman Ruins of Volubilis. 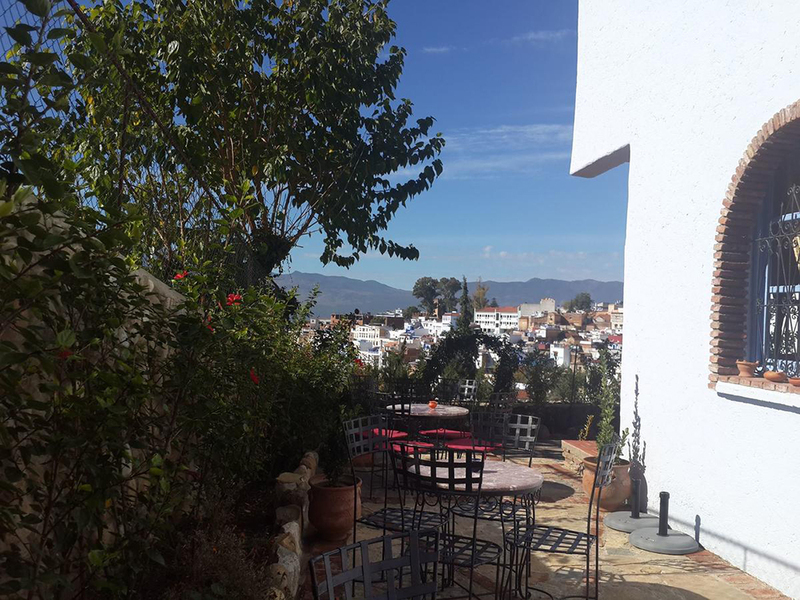 After a guided tour here, with plenty of time for photographs, you will make your way north into the Rif Mountains to the beautiful small city of Chefchaouen. Today, you’ll have the whole day to explore this charming city. For those who wish to photograph a bit more nature, you will have the option to visit nearby Cascade d’Akchour. The hike to the big waterfall is a little bit challenging (it is 10 miles round trip), but there are plenty of smaller waterfalls and nice cool pools (perfect to photograph and cool off in) along the way, if you don’t wish to do the full hike. 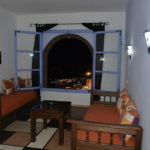 For those who opt to stay in Chefchaouen, we can arrange a guided tour. The hikers will be back in Chefchaouen by mid-afternoon and will have plenty of time to explore this small, but magical city. 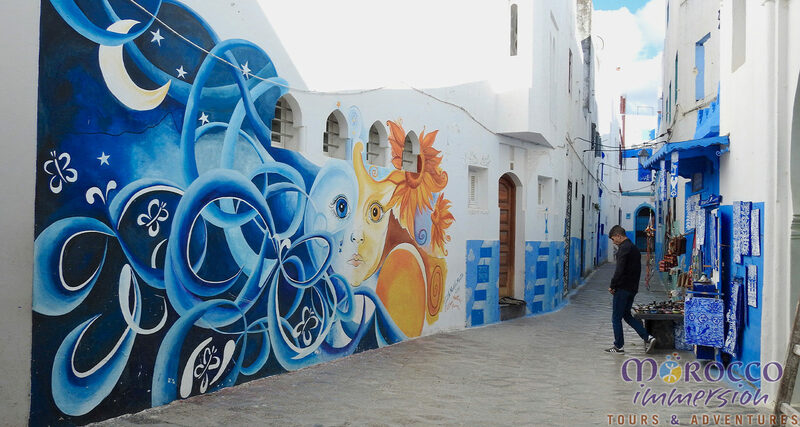 After breakfast, you’ll head to the beach town of Asilah, sometimes referred to as the Santorini of Morocco. Time permitting, you’ll stop to visit the Caves of Hercules on your way to this art haven. Something about the sea seems to attract artists and this city is no exception. Art is literally everywhere as even the white walls are painted with colorful murals and local artists of all ages display their art on the street. You’ll arrive to this picturesque seaside city by early afternoon and plenty of time to explore before heading to the ramparts to watch and photograph the sun setting over the Atlantic Ocean. You’ll have the morning free to relax a little longer in Asilah and/or take photos in the morning light. After lunch, you’ll head down the coast to the current Imperial City of Rabat. You’ll have a short tour of the historic monument (Hassan Tower, Mausoleum of Mohamed V, and Kasbah of the Udayas) and the have the rest of the evening free to explore on your own. Today after breakfast, you’ll make your way back to Marrakech stopping along the way to visit the Hassan II Mosque. Because Friday is the big prayer day in Morocco, you’ll arrive in time for the 10 AM tour (the last one until after the prayers are finished). 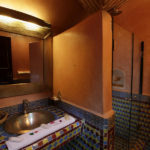 After your visit here, you’ll head back to Marrakech, where you’ll have some free time until you regroup one last time for our final photo review and farewell dinner. 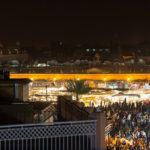 Depending on your departure flight time, you may have some free time this morning before transferring back to the Marrakech Airport in plenty of time for your departing flight. Whenever possible, we prefer to use locally owned and operated accommodations that are hand picked by us. The following list represents our preferred accommodations for this tour, but these may change depending on the group size and availability. Substitute accommodations will be at least the same level of comfort as the ones listed below. 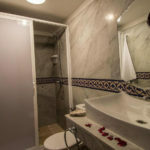 Photos provided by hotel management. 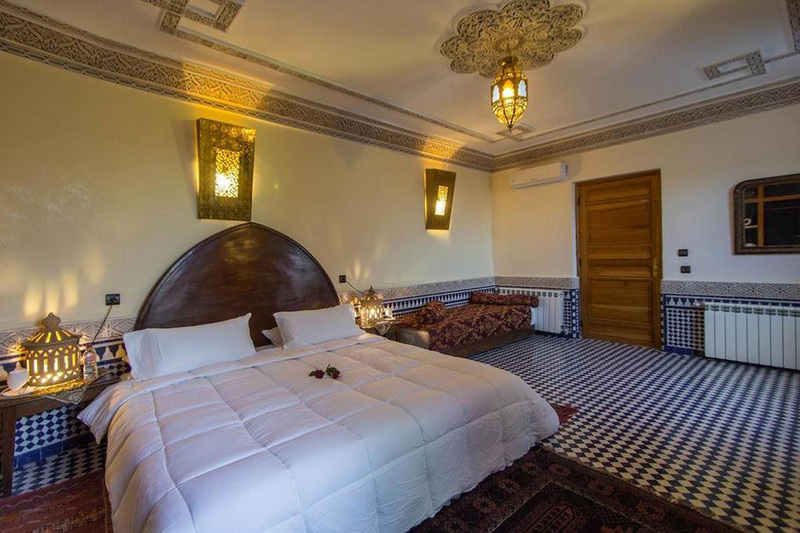 Owned and operated by the former director of the regional tourism ministry and Amazigh activist, Ksar Timnay is more than just a hotel. It is also a culture center for the local people. You'll be comfortable here as the guest rooms are equipped with air conditioning an en suite bathrooms. The hotel offers a beautiful swimming pool and free wifi and it is located next to an ecological park (15 minutes by foot) perfect for stretching your legs. Since this is a place where artists and musicians gather, don't be surprised if a party breaks out after dinner! 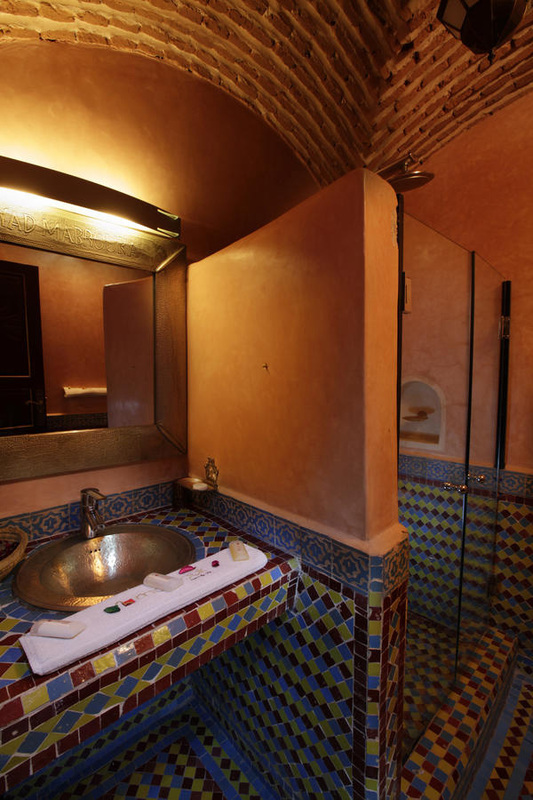 Your immersion into the history of Fes will be complete when you return to this 17th century traditional riad. 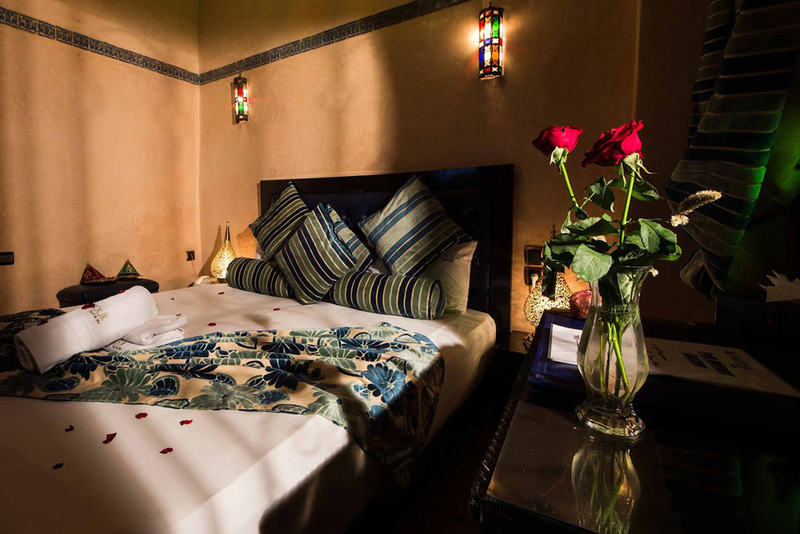 Ideally situated inside the medina near the famous Blue Gate, this gorgeous riad serves as your home base for exploring the winding alleys of this ancient city. 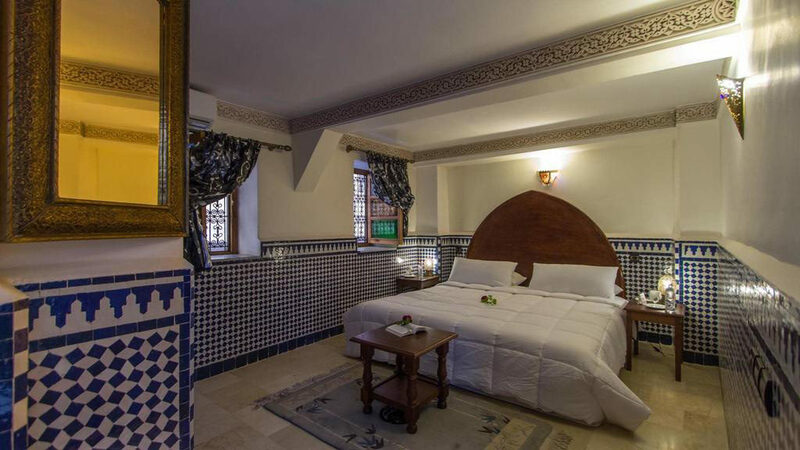 And don't worry... you will be able to enjoy the traditional Moroccan features from hand-carved wood and plaster to mosaic tiles without giving up modern conveniences like air conditioning, en suite bathrooms, and free wifi! 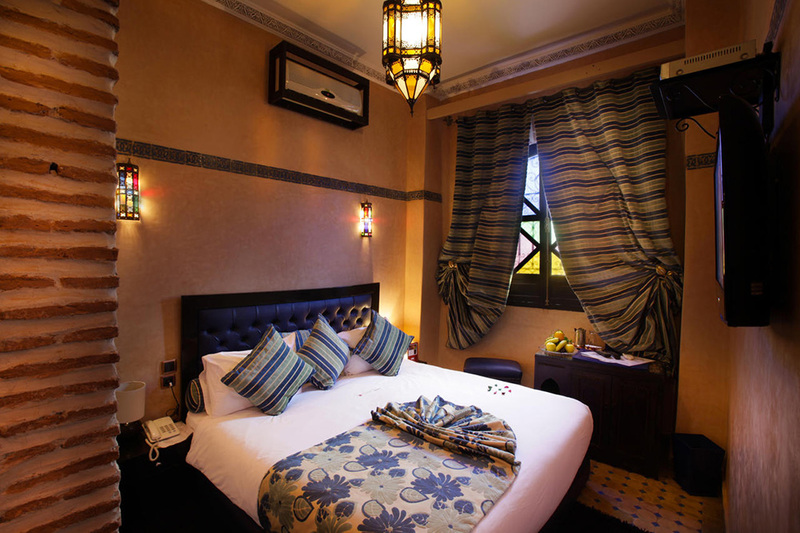 The riad also features a sun terrace with breathtaking views of the city. 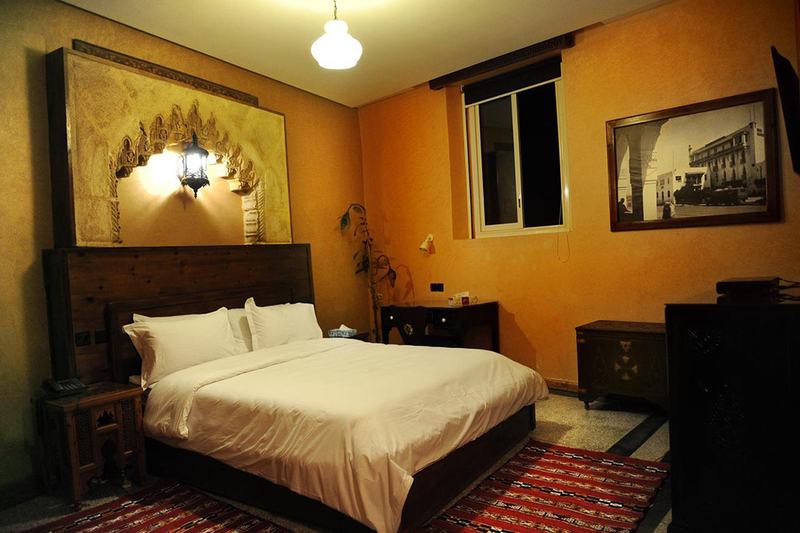 This boutique hotel situated on a hill just outside of the medina offers panoramic views of this beautiful small city. 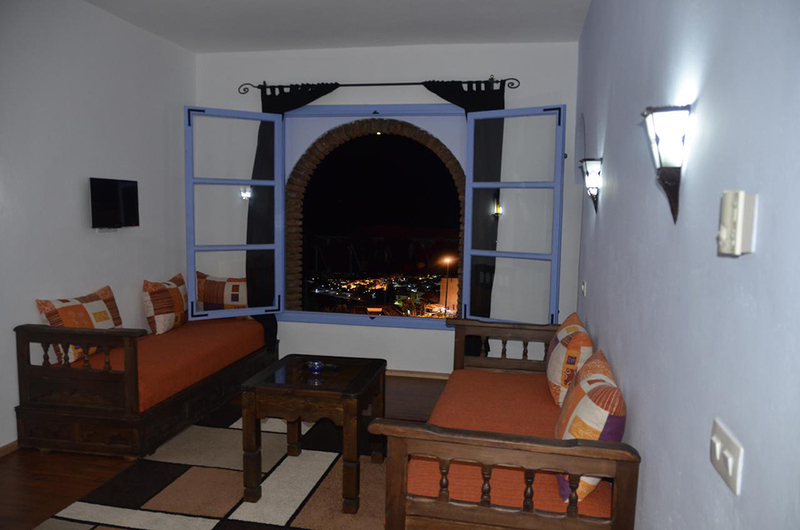 Just a 10 minute walk from the main square, this warm and friendly guest house provides an excellent base for your Chefchaouen explorations. And, like all of our accommodations, the rooms are clean and comfortable and include en suite bathrooms and air conditioning. Free wifi is also available here. 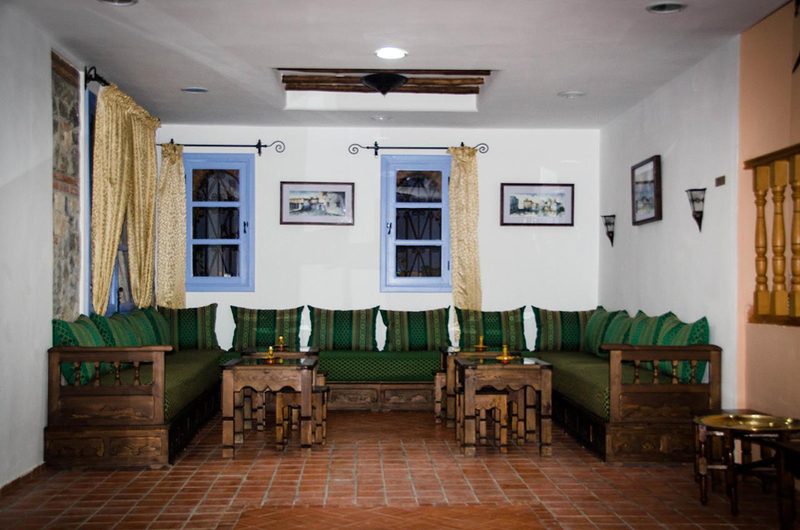 Situated a little outside of the hustle and bustle of the medina in a neighborhood with several nice restaurants, Hotel Al Alba is the perfect place to unwind a little from your travels. 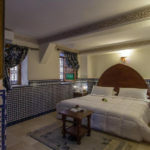 This quaint hotel is located across the street from the beach and about a 15 minute walk along the promenade to the medina. 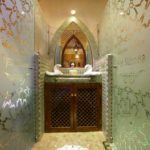 The cozy rooms are clean and comfortable and the onsite traditional hammam maximizes your relaxation with a good scrubbing and massage for a reasonable price. 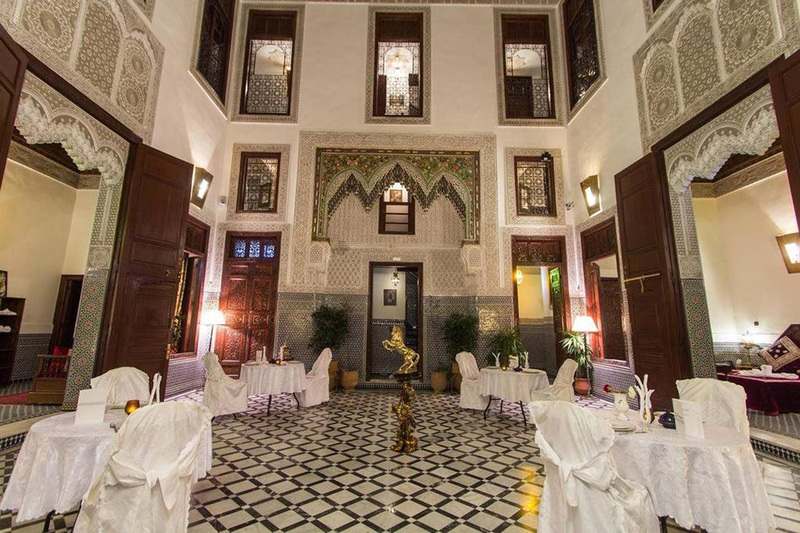 This charming hotel originally opened in 1918 as L’Hôtel des Oudaias dit Transatlantique and is itself immersed in the history of the current capital city of Rabat. Hotel amenities include free wifi and air conditioning. 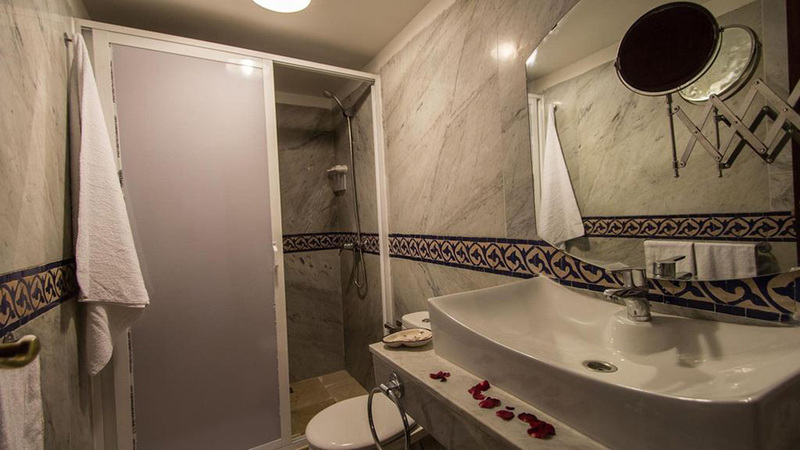 The en suite bathrooms are equipped with hairdryers, bathrobes, and even slippers. 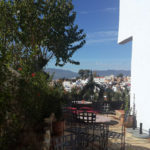 Situated just a couple of blocks away from the Kasbah of the Udayas with many shops and restaurants within walking distance, the terrace boasts amazing views of the Kasbah, the ocean, and the Bou Regreg River. 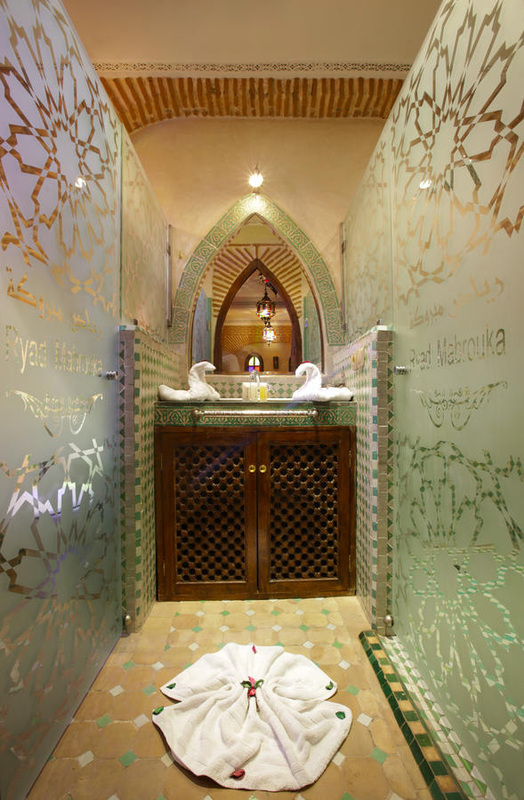 The interior with its mix of traditional Moroccan and French aesthetic won't disappoint either. While all of our tours include authentic experiences and opportunities to take frame-worth photos, this tour will specifically focus on photography and will provide the opportunity to improve your craft with expert guidance from Frances Schwabenland and Bob Laramie. They will offer coaching during the day and conduct nightly photo reviews. 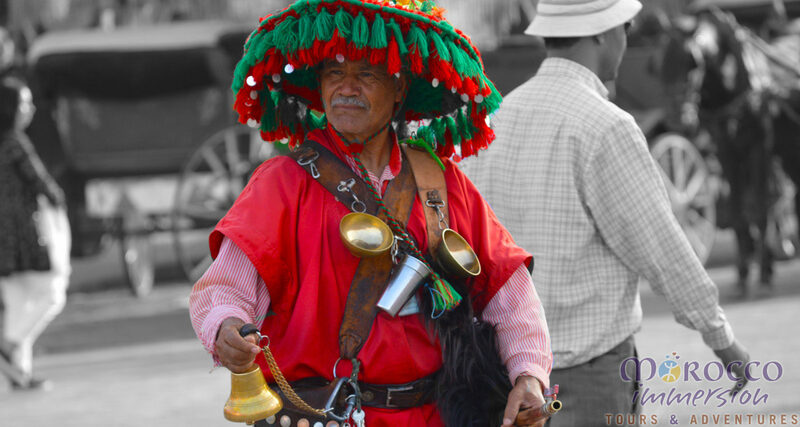 You will be immersed into the colors and cultures of Morocco and you’ll have time to capture it all on film! This tour is perfect for passionate photographers of all skill levels. You can arrive any time on Day 1, as there are no set activities until the welcome dinner at 7 PM (19:00) in Marrakech. If you will be arriving later than 7 PM, just let us know. 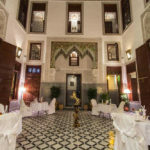 This tour will end at Riad Mabrouk in Marrakech where you will arrive in the evening of Day 7. No activities are planned for Day 8, so you can depart whenever you like. Although there are no scheduled activities for Day 14, do not book your departing flight for Day 13 as we will arrive back to Marrakech late in the day and cannot guarantee that we will arrive in time for a flight that night. No problem. Just reply to your booking confirmation email to let us know how many nights you require and we will add it to your booking for an additional fee (normally around $70 USD per room per night, but this can vary depending on the season). Maximum: 16 PAX. We are not a “big bus” tour operator and prefer to keep our group tours small so that you can truly experience Morocco’s rich culture and way of life. And keeping the group small will allow you to have hands on coaching from our expert photographers. Contact us! 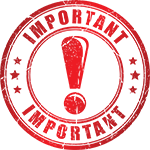 Groups of 10 or more qualify for special discounts and groups of 17 or more can be accommodated as a private tour (again for special pricing). Simply follow this book now link. If booked before 15 Jan 2019, you can reserve your spot with just $500 USD down. See our payment schedule for more details. If you cancel 36 days prior to your Tour Start Date, we will refund 80% of your tour deposit and 100% of any additional monies paid to us. Cancelling 35 or fewer days prior to your Tour Start Date will result in 100% loss of your deposit, but any additional monies paid to us will be refunded. No monies will be refunded by us for no shows or trip interruptions. Our complete cancellation policy can be found in our terms and conditions. Please Note - You can still join the tour beyond the initial deposit due date, but your deposit will be the total amount due at the time that you join the tour. Contact us for more information. To create a customer account prior to booking click on the "log in" tag and then click on Create New Account. You can optionally log in using your Google ID.